Chase down prey with gang leader Moloch in his Landspeeder! Store his weapon in the hold, load the multi-stud shooter and set off. When you have your prey in your sights, help Rebolt release the hounds before they make their escape! Nobody messes with mighty Moloch! - Includes Moloch and Rebolt minifigures, plus 2 Corellian Hound figures. - Features an open minifigure cockpit, opening cage for the hounds, rear storage hold, multi-stud shooter and hidden wheels for a hover effect. - Also includes Moloch’s blaster pistol and Rebolt's whip. 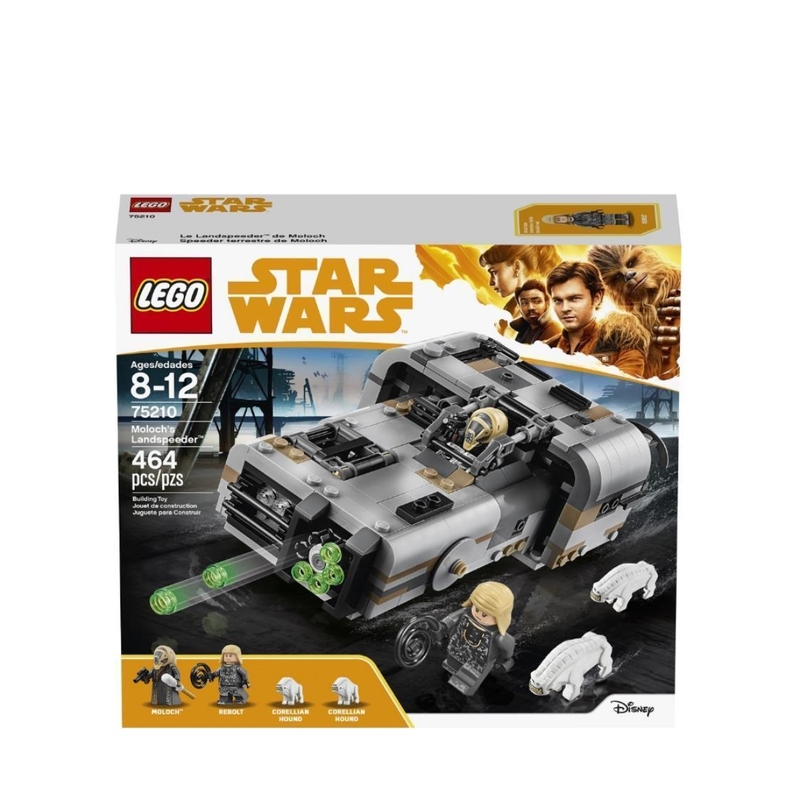 - Play out epic Han Solo movie chase scenes with 75209 Han Solo's Landspeeder! 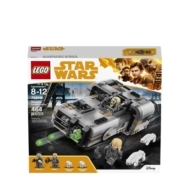 - This LEGO® Star Wars toy is suitable for ages 8-12. - Measures over 2” (6cm) high, 6” (16cm) long and 4” (11cm) wide.